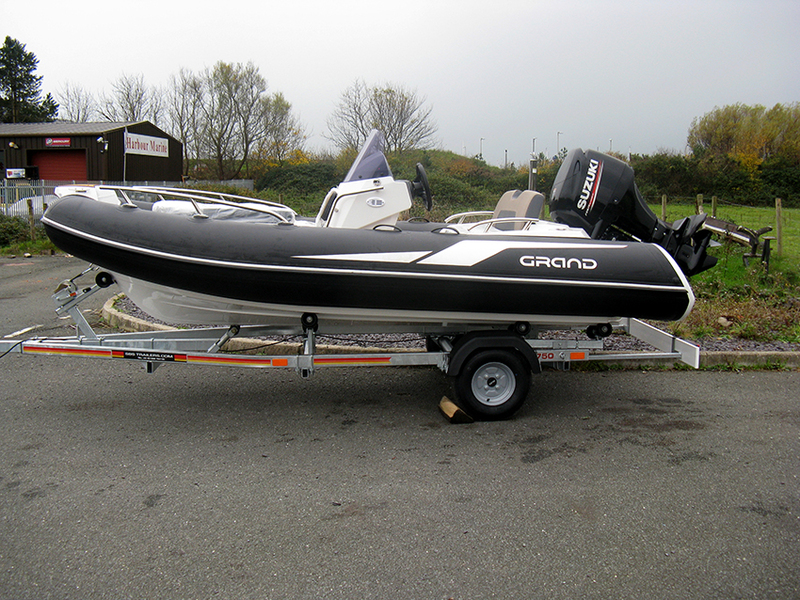 What a fantastic family RIB this is!! 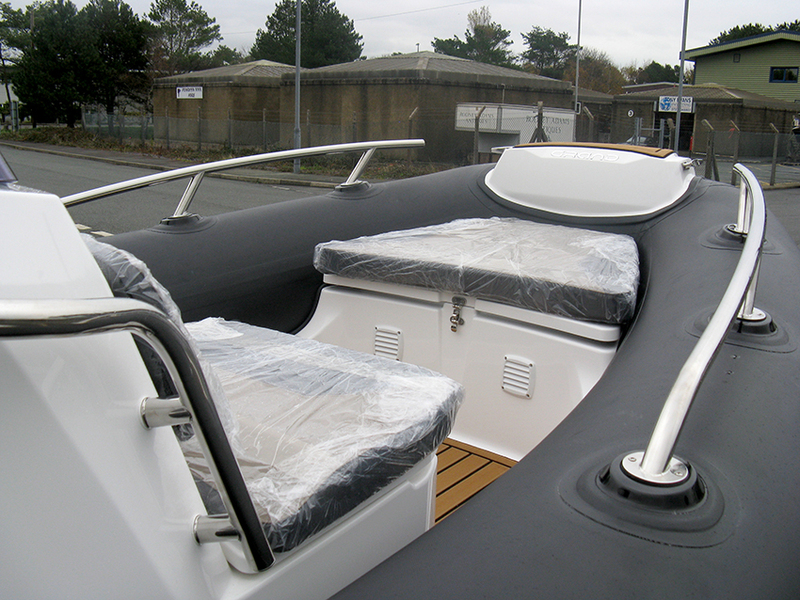 We have put together a high spec package with plenty of optional extras, which we know will delight the new owner of this G420. 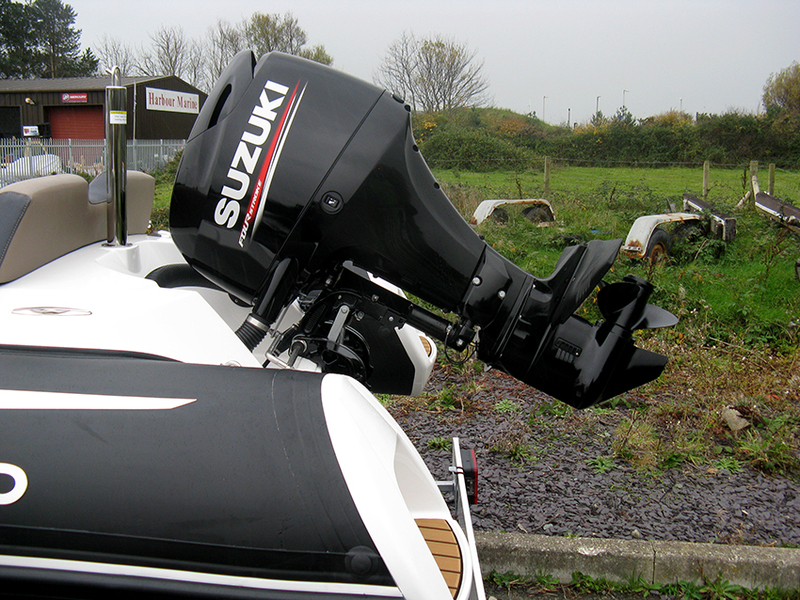 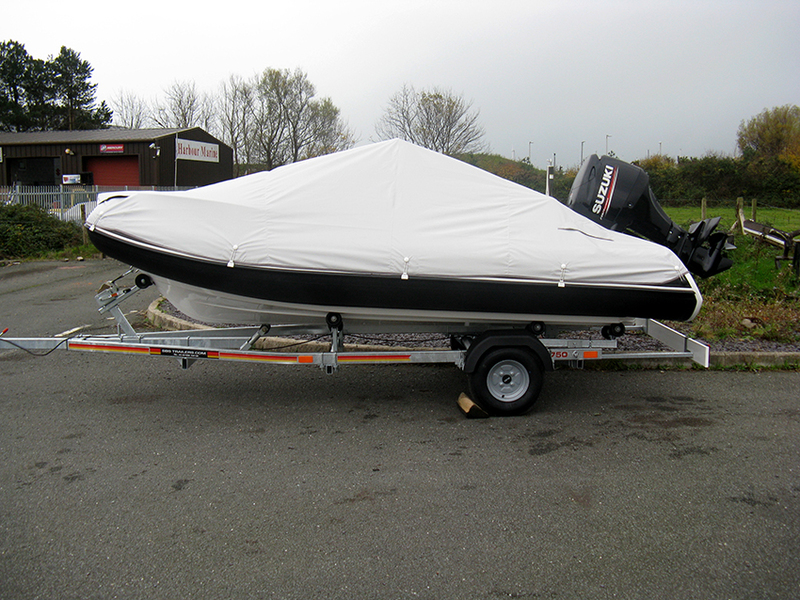 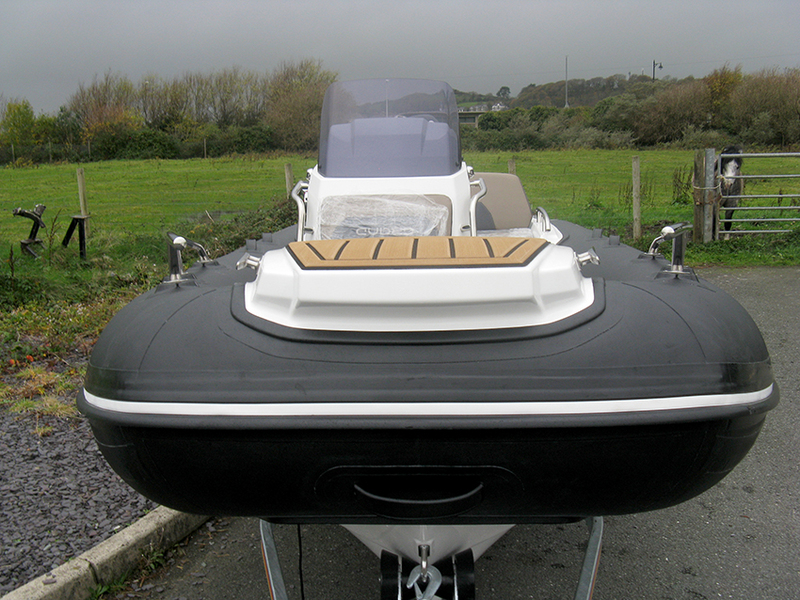 This RIB is at Harbour Marine and available for viewing now. 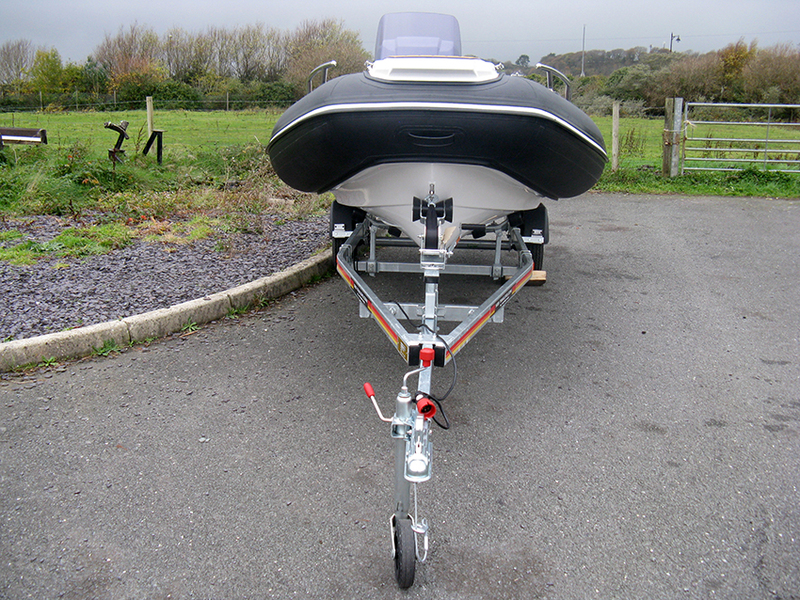 Powered by the awesome Suzuki 60hp ouboard, we have also included a new SBS trailer. 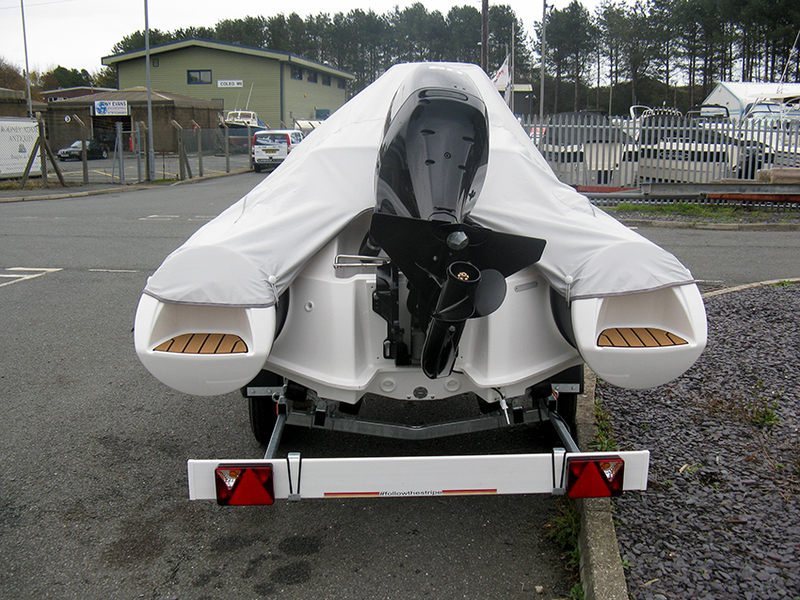 See below for all standard features…..and included options which will make this RIB very hard to resist! 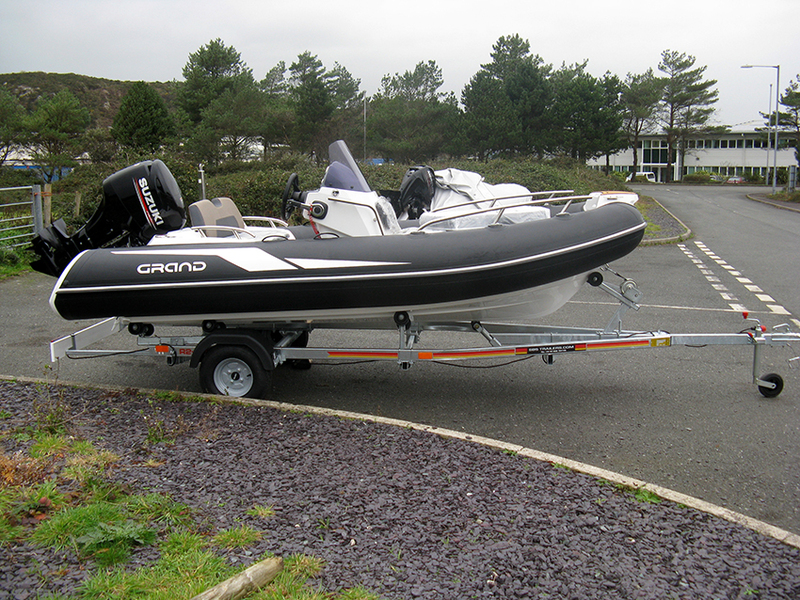 As well as filling an important niche in the mid-size luxury tender/RIB market, the GRAND Golden Line G420 RIB, has a classic layout. 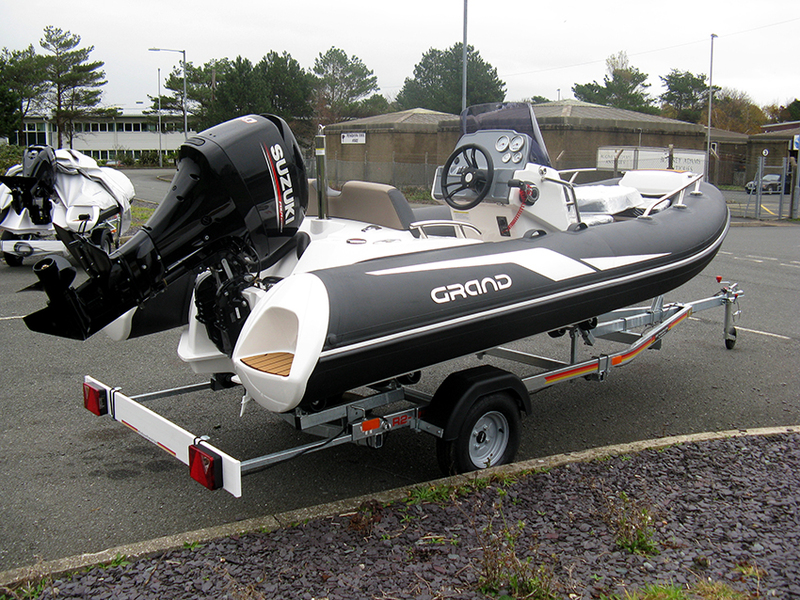 Her stylish good looks (and she is pretty as a picture!) 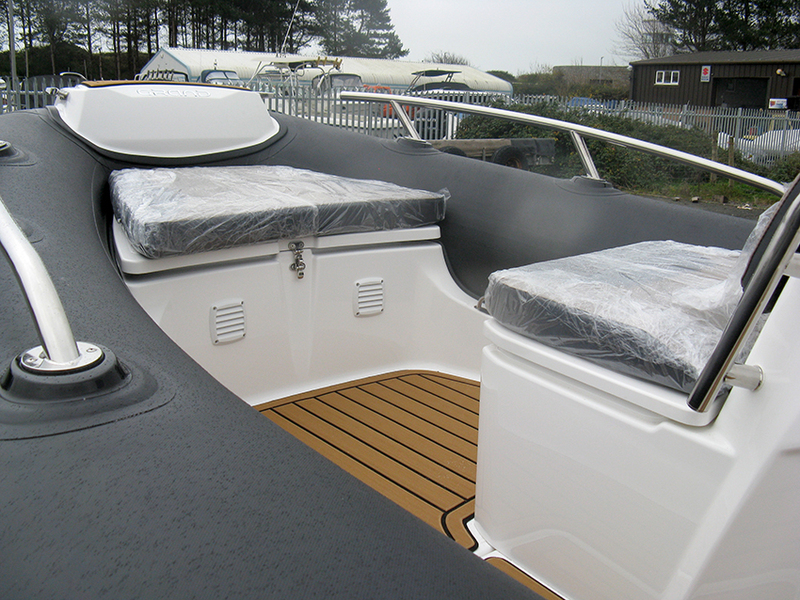 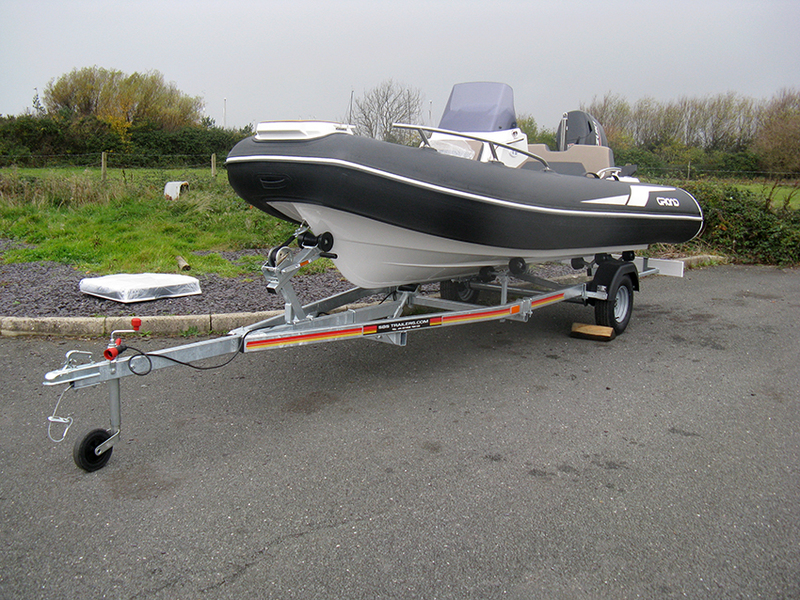 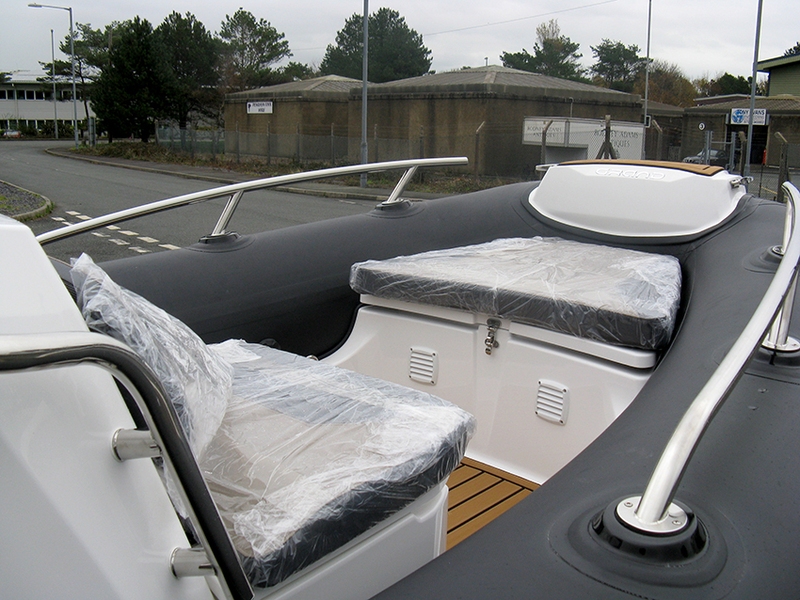 is matched by her outstanding performance making this one high specification family RIB. 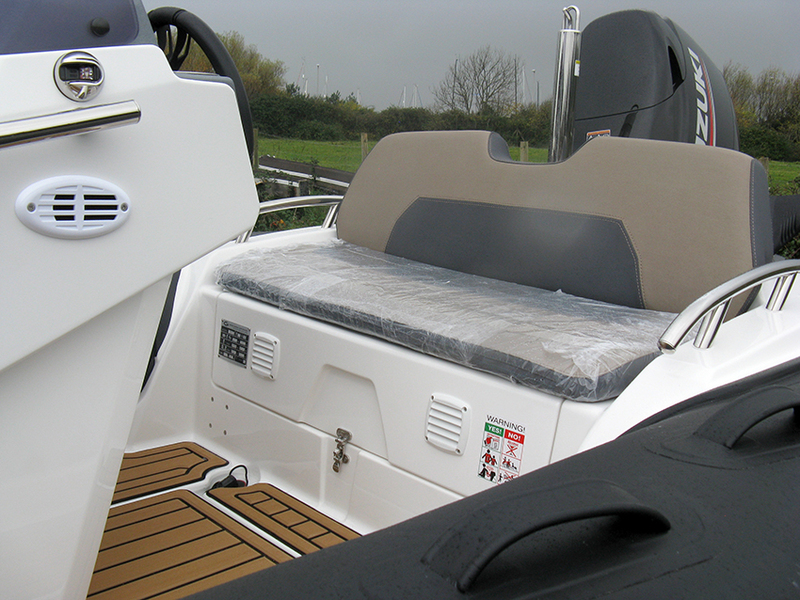 The High Step Hull design ensures the GRAND Golden Line 420 handles well and combines with excellent stability and impressive speed. 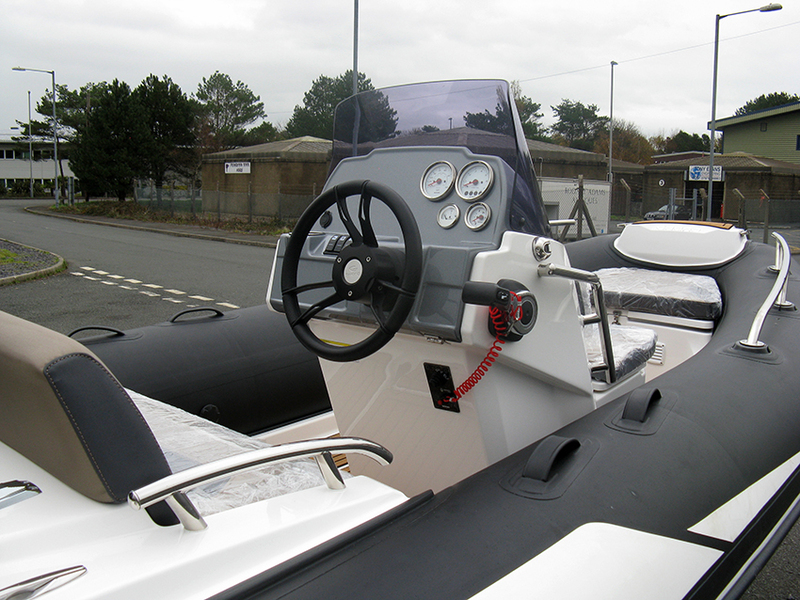 Safety hand rails are fitted as standard on the port and starboard side of the ergonomically designed console and seating. 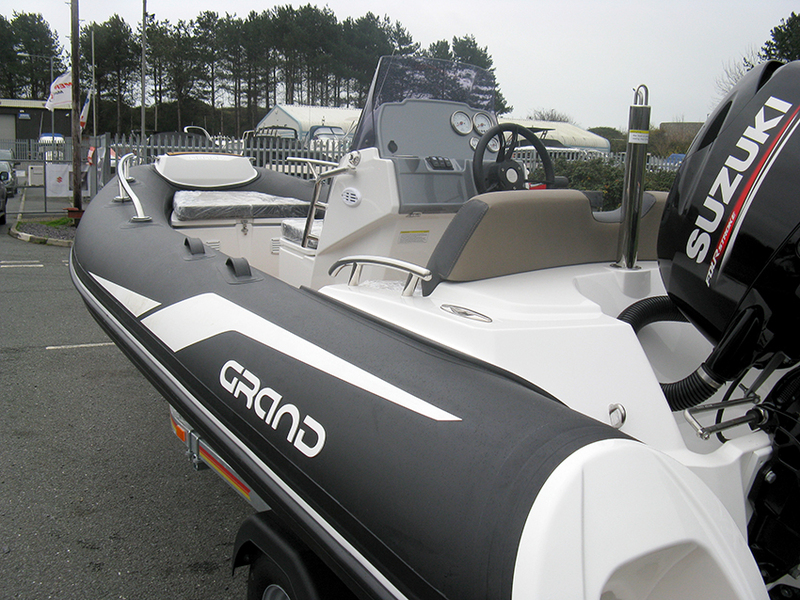 As with all models in the Golden Line Series, the GRAND G420 is equipped with a comprehensive list of standard equipment. 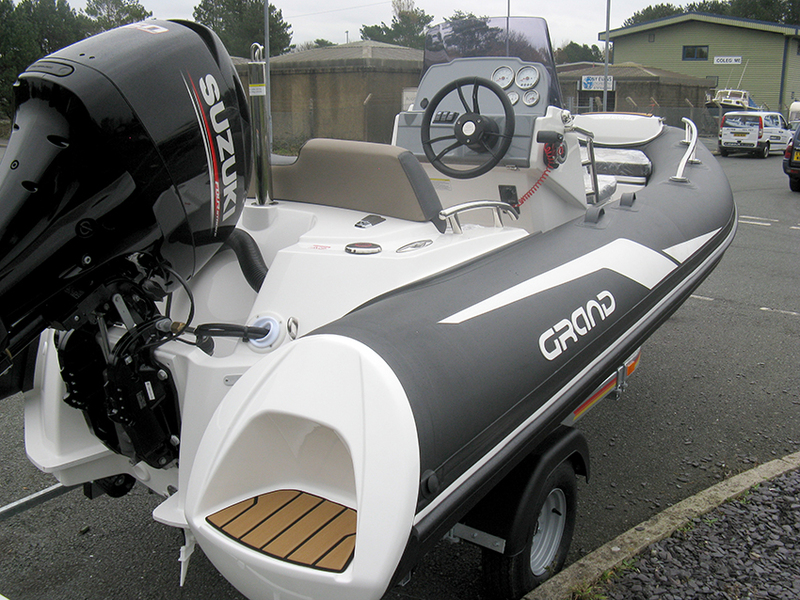 The GRAND Golden Line G420 is an awesome family RIB which is superbly designed and built.